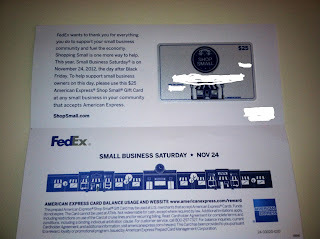 I signed up a form from a reliable website about winning a $25 AMEX Gift card brought by FEDEX. This is one of those random days that I like to get free sample in the mail, I wasn't really paying more attention and just come what may. I even forgot about the signed up, until one day I received an email of me winning a $25 gift card. I wasn't surprise when I read the mail. It came in the mail and there it was proven. I remember of getting the same amount last year too, and fill out the form online and I won too. I've used the gift card to buy gifts for my hubby's family this Christmas. At least I used the won prize into something worthwhile. Congratulations! I have never tried for this type of giveaway-maybe I should!! Love these kind of surprises in the mail! Congratulations! That is awesome that they offer such a nice giveaway but it is even better that you actually won! Awww, that is awesome. 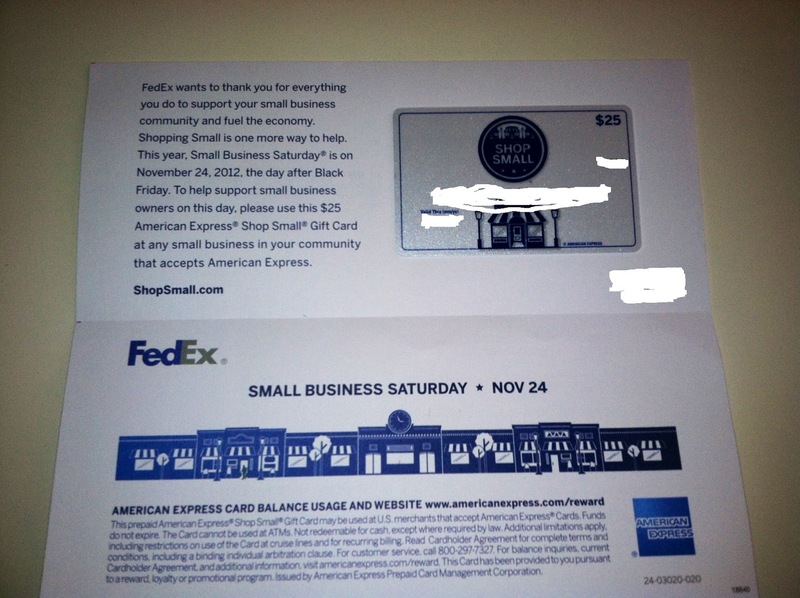 I am an AMEX member and I like their services! Congrats, love AmEx. I think you should use it to treat yourself to something you have been wanting! That was your lucky day, mommy! I liked when I win something and that's $25.00, a big help! unexpected money is always the best, I have no luck in raffles or anything, although I am not losing hope, I keep joining,w ho knows, my lucky day will come.